Taking photos is really quite simple, however, taking good photos is something altogether different. While it does take a certain degree of skill, the equipment you choose to use does make a world of difference. Knowledge of how to use the environment around you will take your photos from good to amazing. The camera is the most important piece of equipment, without it, you won’t be able to take the shot. 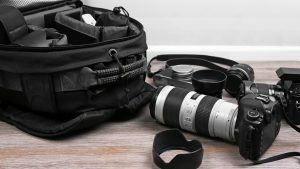 DSLR cameras are a favourable choice for beginners. While they are on the cheaper side of the spectrum, they deliver high-quality pictures. The lens has the important function of aiding the light in reaching the camera sensor. Many camera starter kits come with a lens included, however, as your skill develops you may have to purchase as you go along. The tripod is the stand on which your camera will sit in order to keep it stable and steady. Choose one that is lightweight enough to carry around, but stable enough to ensure your camera is steady. When it comes to producing the photos, software plays a vital role. The software you choose should provide you with all the tools to edit photos to perfection. Equipment is important but never underestimate skill and knowledge. Understanding how to use your equipment to your greatest advantage is vital. Know when to use your flash. A flash is no longer simply used to take photos at night or if indoors. There are instances during daylight hours that require it. Bright light casts heavy shadows. The extra bright light will fill those shadows nicely. Be aware of your shutter speed. The difference between crystal clarity and a blur rely on it. Small things make an enormous difference. The golden rule for any photographer is to travel light and always keep those batteries charged. When opportunity strikes you will be ready to shoot.